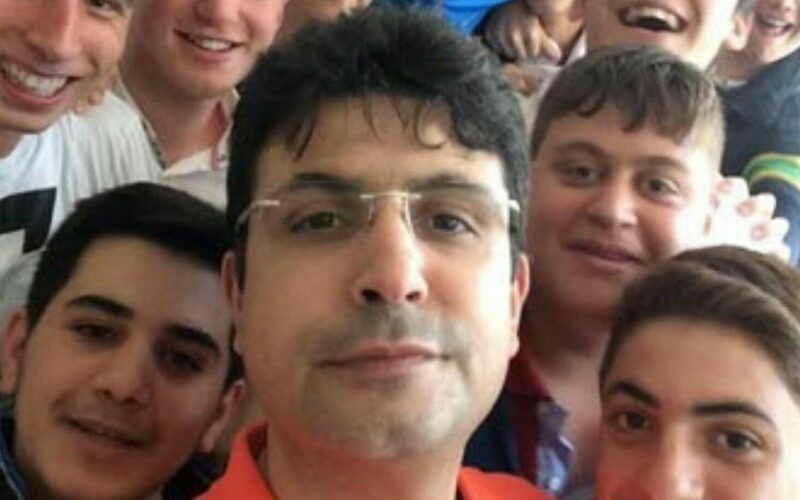 Gökhan Açıkkollu, a history teacher who died under custody after being detained as part of a post-coup investigation into the Gulen movement, was not allowed to be buried in Istanbul, according to his father Ayhan Açıkkollu. A video interview with the father on Aug 5, 2016, which was widely shared on social media on the first anniversary of the July 15, 2016 coup attempt, reveals that the deceased teacher was not even given proper funeral service by the state-financed mosques. The officials let the father bury his son only in the Traitors’ Cemetery, otherwise, the teacher’s body was not allowed in Istanbul, the grieved father tells during the video. Detained on July 23, 2016, Gokhan was a history teacher at a state-run high school in Istanbul’s Umraniye district. According to his father, Gokhan was a diabetics patient while human rights defenders hinted at torture and maltreatment. The 42-year-old teacher spent 13 days under detention before he died. His body was buried in a cemetery in the central Anatolian province of Konya while the local imam refused to lead the funeral ceremony. According to media, the family was not even provided a funeral coach for the transportation for 710 kilometers between Istanbul and Konya. Turkish government accuses the Gulen movement of masterminding the July 15, 2016 coup attempt while the latter denies involvement. More than 120,000 people have been detained and some 55,000 were arrested over links to the movement since last summer. Detainees include teachers, doctors, police officers, lawyers, judges, prosecutors, journalists, academics and many others from various backgrounds.